Here’s a look at what was in this month’s envelope. 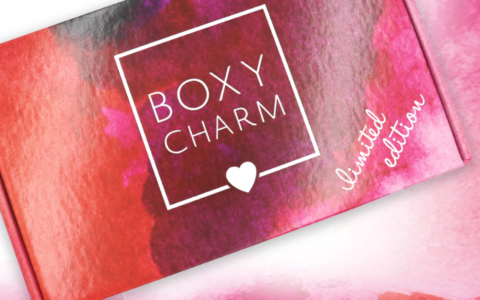 Winc combined some interesting hosting tidbits with occasion-based suggestions for their products on the flip side. Omaha Steaks provided a promo for their family gourmet feast. SmileDirectClub also sent along a discount code for their invisible aligners and a free whitening treatment. I actually received this same wine back in September, but my opinion remains the same. Despite not being much of a red wine kinda gal, I found this red blend was really nice. Easy to drink and heavy on the dark fruits (namely blackberries, cherries, and plums), Wall of Sound beckons for pasta in red sauce, or a fancy pizza. The flavor wants to be tart and almost is, but it’s not quite there, and I appreciate that. The blend is predominately zinfandel with supporting hints of petite Sirah and merlot. Really warmed me from the inside out. Looks like I have a reason to whip up some veggie bolognese! For a dry white, this one goes down so smoothly! This is my first imported bottle from Winc, and color me impressed. With tasting notes of green apple, honeysuckle, lemon, and white peach, this wine is a nice pair for seafood. I’m putting a sushi dinner on the meal rotation for this week ASAP! This bottle won’t last very long in my home—and for good reason. Well done, Portugal! This pinot noir was really interesting. Rather buttery with hints of cherry, fresh herbs, raspberry, and strawberry, this bottle wasn’t my favorite at first sip, but as I made my way through the glass, it really grew on me. Ultimately, what’s not to like about a wine that pairs with pizza? 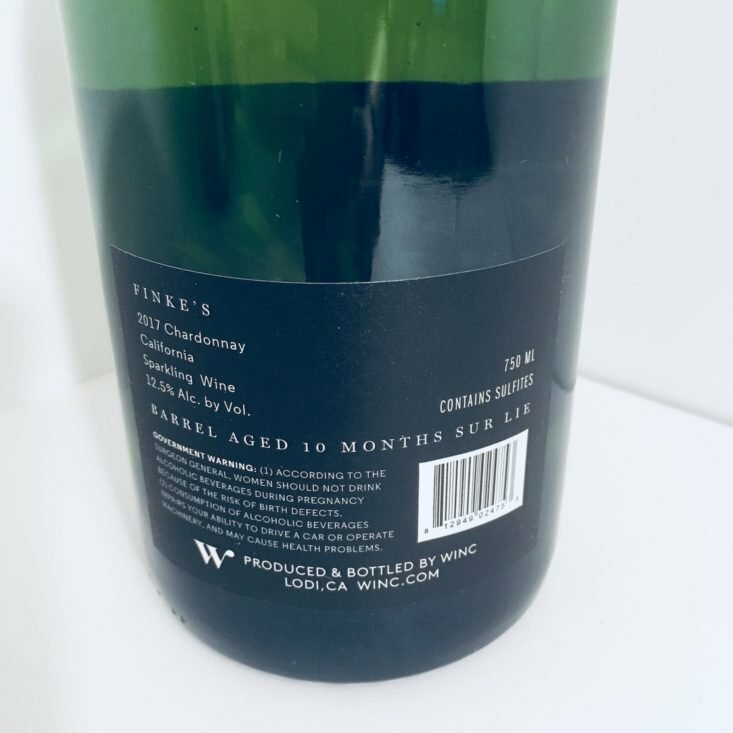 I had no idea Winc did sparkling wines! This was a really fun surprise. 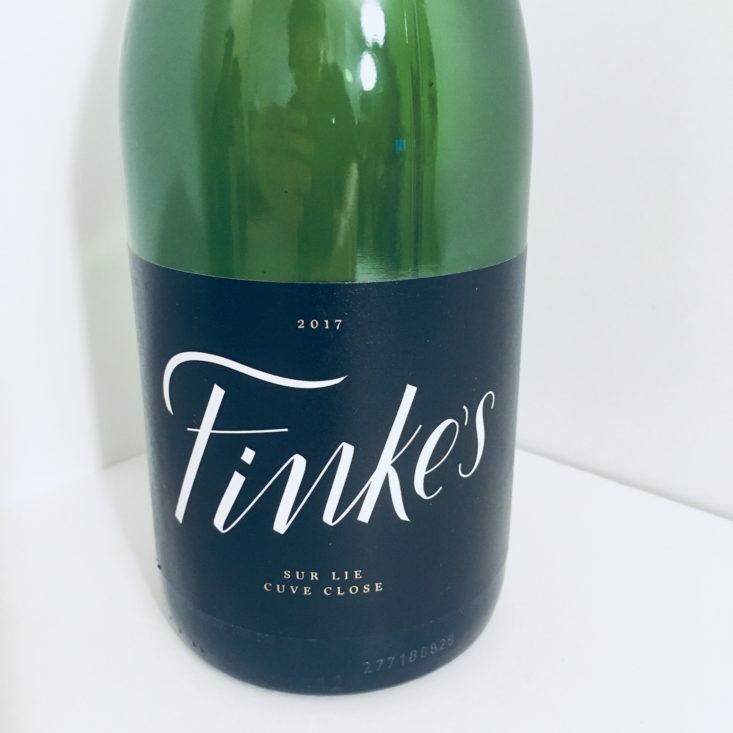 According to their site, this sparkling Chardonnay is currently sold out, so it’s gotta be good, right? Featuring tasting notes of apricot, butterscotch, honeysuckle, and peach rings (many of my favorite things are related to carbs), this wine was sophisticated with a nice, dry finish. I can’t tell you the last time I paid more than $10 for a bottle of sparkling wine, so this chardonnay certainly has me thinking differently. Verdict: This month’s selections were a nice exploration of three distinct continents! Though I was a little disappointed to receive a duplicate bottle from September’s box, it was still a wine I appreciated. My favorite was definitely the Passarola, and I’m really excited to pair it with a nice sushi dinner at home. The sparkling chardonnay was a fun surprise, and overall, I was happy to have a taste of wines from around the world. Once again, Winc was a worthwhile experience, and I’m looking forward to sharing each bottle with friends (except for maybe the Passarola—that one could easily be all for me). Value Breakdown: This box cost $59.00 for four full bottles of wine but had a retail value of $76.96, so I saved $17.96 by having the subscription. 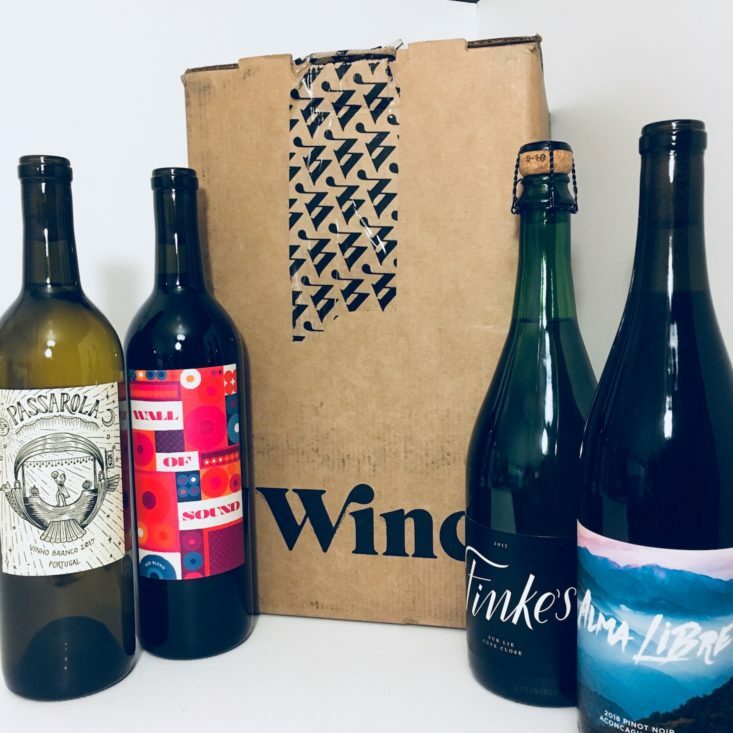 Check out all of our Winc reviews or visit the Drink Subscription Box List for more boozy boxes! 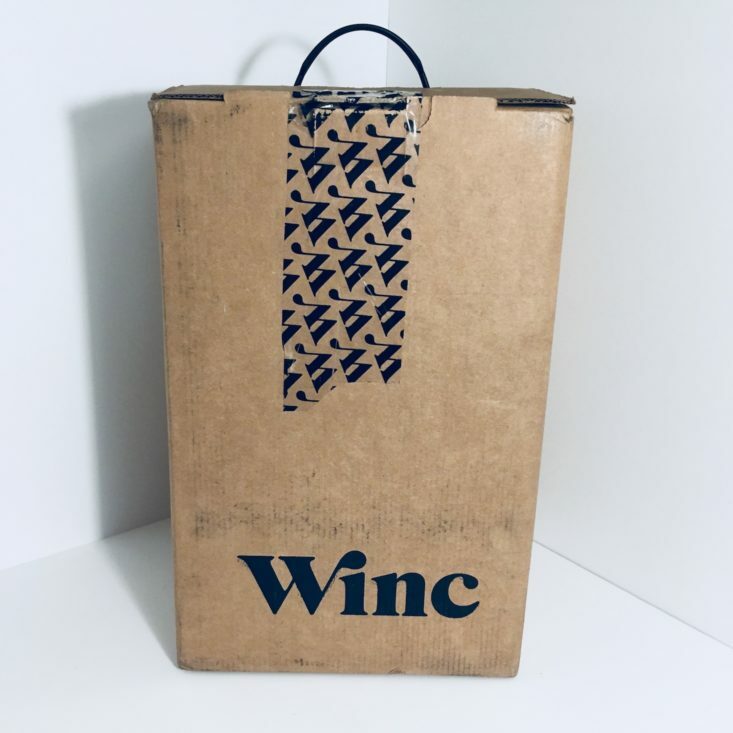 Do you have a favorite Winc wine?